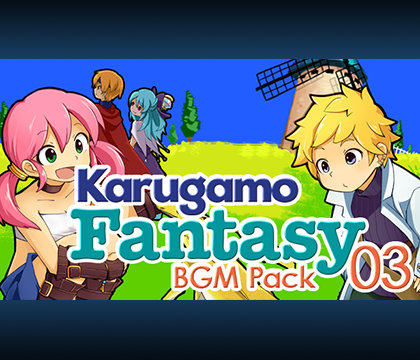 Karugamo Fantasy BGM Pack 03| RPG Maker | Create Your Own Game! Karugamo Fantasy BGM 03 explores more of the staples of video game music- battles, boss battles, evil villain and dashing heroes. 17 BGM themes, in M4A and OGG formats.